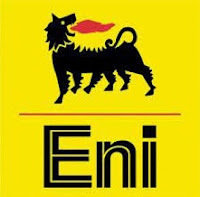 To support its progressive growth and build the organizational capability, Eni in Indonesia is inviting candidates who possess relevant education background, experience and competencies to join our company. Corporate Financial Reporting and Budgetary Analysis. Maintaining and reconciling intercompany balances with other eni companies. Experience At least 2+ years’ experience in financial / accounting preferably in the oil and gas industry. Previous experience in professional practice, external auditing is preferred. (Please mention the position title on the email subject: Apply for (name/position code). Please note that applications may not be reviewed if received after 4 May 2018 . We regret that only shortlisted candidates will be notified. FRAUD WARNING!!! Please be aware that Eni Indonesia will never ask the applicant to pay any fee or appoint any travel agent for the selection process. All communications that ask the applicant to pay any fee or use specific travel agent are fraudulent & scam. The application can only be send through the above email. Thanks for reading Eni Indonesia Jobs: Budget Analyst. Please share...!